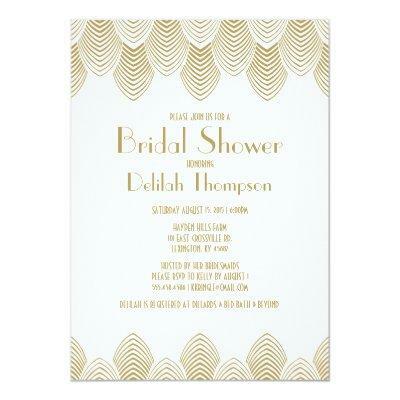 This vintage Art Deco inspired bridal shower invitation features a white background and gold Art Deco scalloped feathers. Perfect for a &#;s or Art Deco themed wedding. If you would like us to customize the colors to match your wedding theme at no additional cost, please contact us at modernmatrimony(at) We would love to assist you with all of your wedding needs.